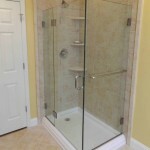 Tub to Shower Conversions are one of the most popular upgrades for a bathroom improvement in the Harrisburg PA area. 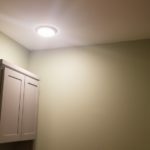 Alone Eagle Remodeling is a specialty bathroom remodeling contractor and we offer great solutions for conversion projects. You may be facing some medical driven issues that encourage this type of work or just find yourself with a dirty and worn out bathtub that you never use, other than stand-up showering. Obviously at this point, it’s time to make the shower the way YOU would like it to be! 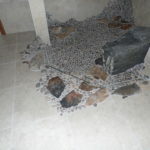 Alone Eagle Remodeling can remove your old bathtub and shower walls without disturbing the rest of the bathroom. Keep in mind that if you’re planning on a full bathroom remodeling project, we can bring you full service for the job – from beginning to end. We use flooring protection and tarp off walls to contain dust to a minimum. Ever have problems with a sloppy remodeler that didn’t care about you or your home? It happens all the time but we keep a clean job site and even bring in a cleaning service at the end of the project, just to be sure that any fine dust in our path of work is gone at completion. When we visit your home in Harrisburg, we bring plenty of product catalogs to choose from. 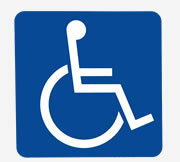 It’s not mandatory and we also encourage checking out some suppliers or even photos on our website for ideas. We install pressure balanced shower valves with stops on them. Having a pressure balanced shower valve will keep one from getting scolded when other plumbing fixtures are being used in the home. Stops on the valve are just a bonus for installation and if the cartridge ever needs replaced, the water can be shut off right at the valve so the rest of the water system won’t be down for that servicing. We hang our hat on tiled shower walls and there are a few things that are important whether you’d like tile walls with a shower pan or a full tiled shower… Waterproofing is important. There’s plenty of contractors that skip this step and while you may get a cheaper job, the money spent will suffer in the long run because a shoddy tile installation simply won’t last. We can also install plenty other shower wall surrounds to meet your taste or budget. 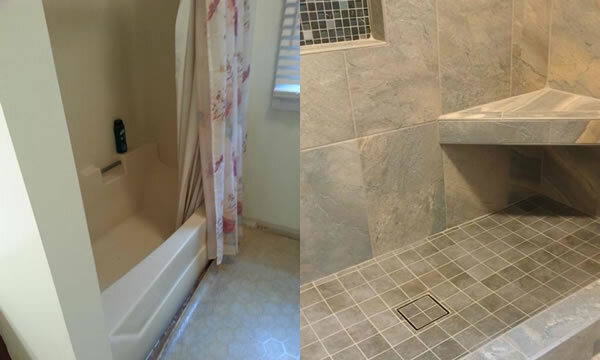 Down to the accessories like shower doors, grab bars, spray wands and shower seats – Alone Eagle Remodeling is highly qualified to install your new shower. 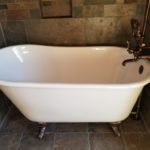 If you’d like to learn more about a tub to shower conversion, please get in contact with us and we’ll be able to visit your home and discuss the project.